Business Benchmark helps students get ahead with their Business English vocabulary and skills and gives them grammar practice in business contexts. 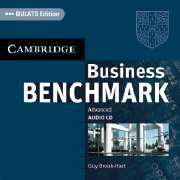 The CDs contain all the recorded material for the listening activities in both editions of Business Benchmark 3, including BEC and BULATS practice test listening. Student's Books, Self-study Books and Teacher's Resource Books are also available. 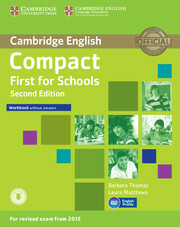 A focused, 50–60 hour course for the revised Cambridge English: First (FCE) for Schools exam from 2015.